Adobe Flash Player 10.1 RC is now available as a prerelease. This version does not require the medialib dependency and should work on its own after installation. You can find it at the Adobe Labs site. In previous version, these files could have been obtained from either SUNWusbu or SUNWsfwhea. The removal of the SUNW prefix is the most apparent name change for the package collection. Now you can get busy building the latest apcupsd version! libupnp 1.6.6 is a little tricky to compile on Solaris. After downloading the source from Source Forge, you will want to extract the bzip2 and cd to the libupnp-1.6.6 directory, then do the following. 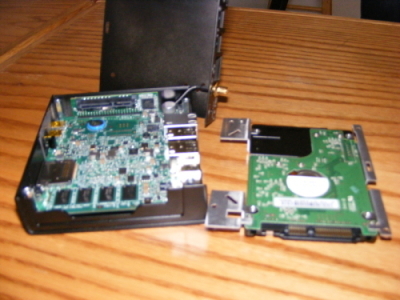 After the failure of the SATA and USB ports on my Intel D945GCL Atom board, I decided to build out a new file server. Sticking to the Atom theme, I decided to go small and get the CompuLab FIT-PC2. This little toy uses the Z530 1.6Ghz CPU that apparently uses only 6 watts of power. I'm assuming that means *without* a hard drive installed. Measuring in at around 115 x 101 x 27mm (~ 4.5"x4.0"x1.0"), it is only big enough to hold one laptop sized 2.5" SATA drive. The drive I installed only has 80GB of space. That would run out real quick with my needs, so I decided to get a MediaSonic USB disk enclosure to link up with my server. It can hold up to 4 SATA drives. 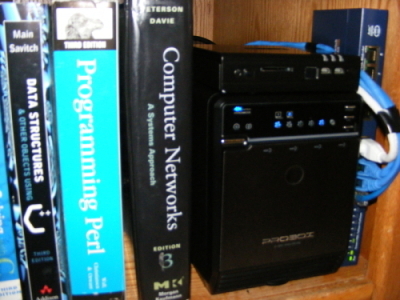 The PC sits on top of the enclosure on my bookshelf taking up 8.5" x 5.0" x 6.5" amount of space. This is not only power efficient, but space efficient since I am using 4 x 1TB drives. 4TB total (theoretical), ~2.6TB in a ZFS raidz. If I were to have purchased the 2TB drives, it would be even better. 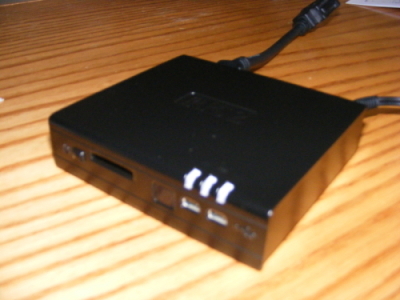 Doug's blog on the FIT-PC2 gives a good overview on the features of the device and what works. There is no wifi driver and Xorg doesn't work, so you may want to install OpenSolaris on another machine before installing the internal HDD. My server is headless and uses the built-in gigabit ethernet, so I don't care about those issues.